The calm before the storm. No, more like the calm before the story. I love these moments at the edge of the precipice. We teeter back and forth, our heart bungee jumps to our head, our palms sweat, our voice trembles, our hands shake, and the unknown bares its teeth and invites us to tumble onward. I’m facing about thirty hours of travel time before I enter a brand new world where “I” becomes “We” and “my” turns to “our” – a change reflected in Manny and I’s new joint venture – SuperGrilledTravels. Okay, I’m excited. In between the hustle and bustle of getting one of my trips under way (Saying farewells to friends and family, collecting the spare change in my room into a plastic sandwich baggy, attempting to sell said loose change sandwich baggy at karaoke bars [Nope] and regular bars [still nope] before one of my friends graciously steps in to purchase it from me…) I never seem to realize what is actually about to happen until I’ve found my way onto my plane and settled in for all of the complementary Johnny Walkers the flight attendants feel comfortable giving me. I gave up my room on Dec 1st, and since then I’ve been a nomad in my own city, from couch to couch to bed and back, the trip begins this year with a week of bouncing between my amazing friends and family. THANK YOU ALL. I seriously have the best friends and family ever. You people are too damn cool. Drooling over friends finished, if you have been refreshing this page continously the past two years as you await my return to rambling confessionals, I apologize for the delay. If you have taken a vow to never read another word by any writer whatsover until I return from my self-imposed alphabet exile, then holy crap, I am extremely disturbed and supremely impressed. Please, for the love of whatever God you subscribe to, take me down from that pedestal, I am afraid of falling and spraining one of my preferred body parts. Jokes aside, welcome back. Or welcome for the first time. Or for the last time if this is it and every following word further shores up your decision to delete me as a Fbook friend and excise myself from the ranks of your memory. Or possibly for the last time because perhaps I’ll blow off writing anything for the entire time I am abroad and will be forced to have this tangent-soaked re-introduction stuck at the top of my stale site in perpetuity. In any case, I at least plan to start out a couple travel projects and see how they go. The first will be a series of selfies with the constant stream of friends I make while traveling. I want to be able to look back and see those golden moments when a momentary connection turns a stranger into a friend. Into someone you would invite into your home, to share ideas, break bread, break down social norms and expectations. Travelers are well accustomed to the transient life. Always on the move, always on the hunt for the next thrill, the next city seems even brighter than the one in which you stand… but no one likes to leave a friend behind. Moments flash past on the cycle of life, and we are passing spectators. I’d like the opportunity to remind myself of each beautiful person who crosses my path. Days to weeks, months to years to decades and still a flash remains, permanently etched into the minds of its participants. Or it would be if not for our pesky minds choosing to fill up on childhood television theme songs and Internet memes. So, when the brain refuses to work as we would like, a snapshot of a connection is the best time-travel at our disposal. I’ll gather these snapshots and post them to my new project specific Instagram, FriendsBeyondBorders. 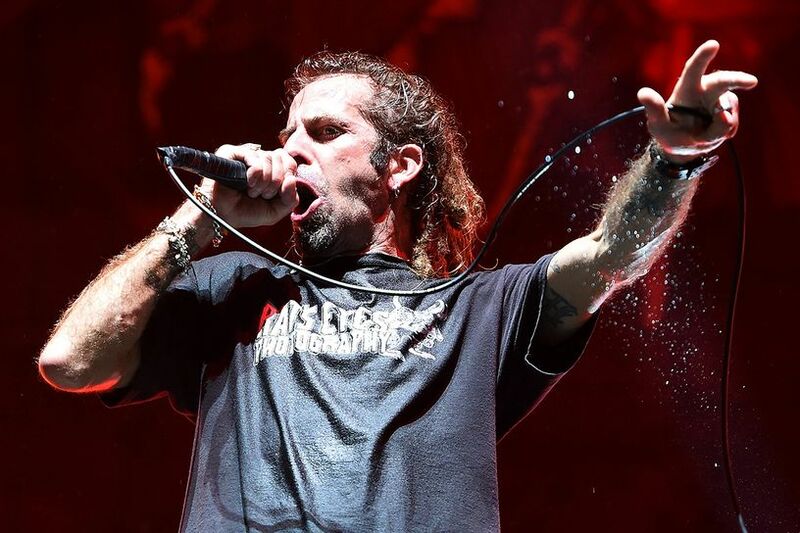 “We came here to f-ck this place up!” bellowed Lamb of God lead singer Randy Blythe at Bonnaroo, before launching into yet another assault-on-the-senses metal beatdown. 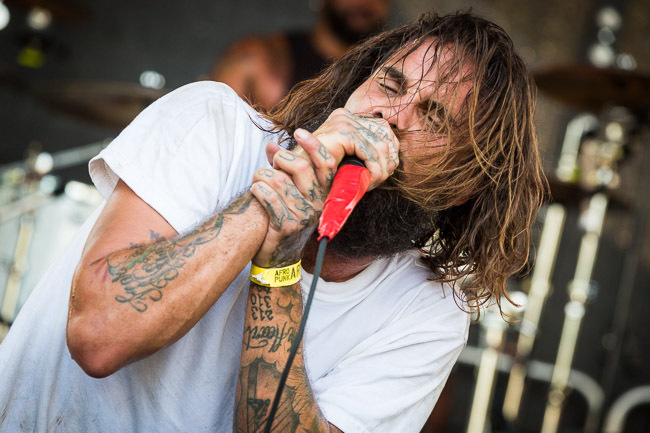 This was it: Festival attendees who had grown weary of the friendly smiles and welcoming high-fives from their concert comrades this weekend had finally found an explosive outlet at the metal outfit’s Saturday night pummeling. 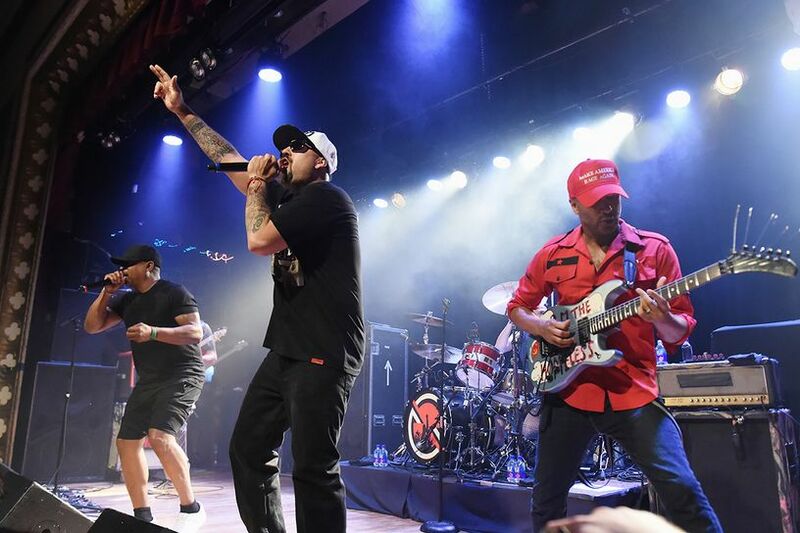 Day three of New York City’s Governors Ball festival may have been canceled due to inclement weather, but the rabid fans who showed up to witness Rage Against the Machine/Public Enemy/Cypress Hill supergroup Prophets of Rage at Brooklyn’s Warsaw on Sunday night ended up leaving the humid venue completely soaked anyway. There’s something delightfully masochist about spending consecutive days getting audibly pummeled by the industrial-electro-noise-pop assault of HEALTH. With a light show that seems designed to induce epilepsy, the grinding crunch of guitars that would be well-suited for a cyborg rave, and the kind of relentless drumming attack that bounces around your throbbing skull for hours afterwards, the live HEALTH experience leaves no room for half-measures. You’ll either love it or leave the venue under the impression the devil himself had taken the stage. 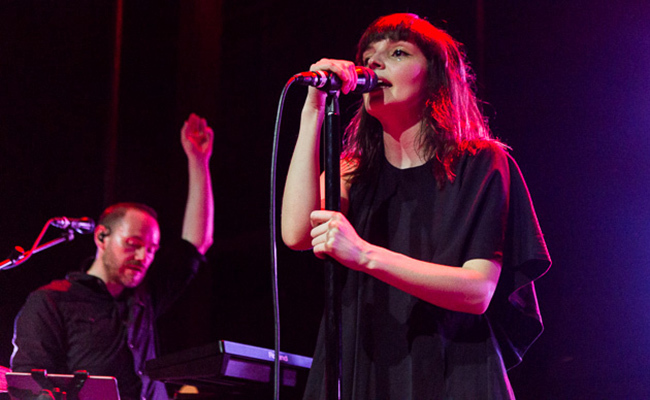 Two years after Scottish electropop trio Chrvches released their debut album, The Bones of What You Believe, the group has returned with their second collection of synthy jams. 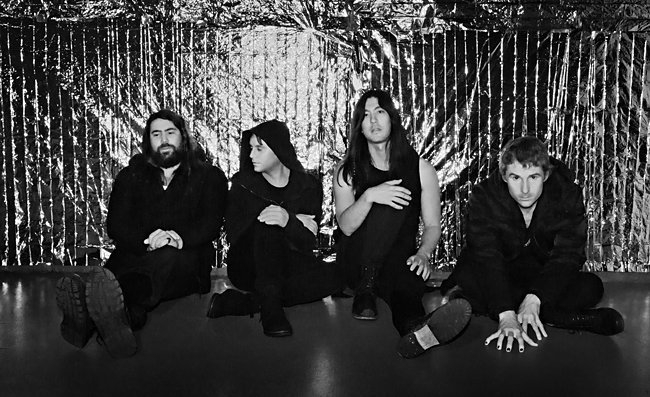 To celebrate the arrival of Every Open Eye, the outfit performed a private show (hosted for a SiriusXM audience) at Williamsburg’s Rough Trade and quickly got the crowd of industry insiders, musicians, and lucky fans shaking to the tunes. Nerds, anime freaks, cinephiles, and The Dark Knight-obsessed have (mostly) come together to agree that a Christopher Nolan-helmed live-action remake of cyberpunk classic Akira might actually be pretty damn cool. 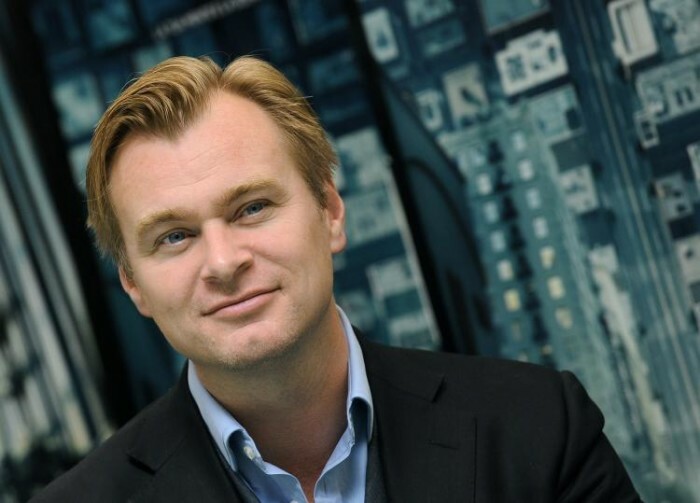 Sure, there will always be a few purists who wish no director would lay his or her greasy fingers across such a hallowed piece of fiction as Akira (not to mention the manga readers who are still griping about one of their classics being turned into the 1988 masterpiece), but it’s easy to see why a Nolan remake would be an easy pill to swallow. The man’s track record is absolutely phenomenal. No offense to the lovers of hippie-chic – the seemingly required attire of summer concert attendees from coast to coast – but the gals and guys who grooved to the tunes at Brooklyn’s 11th annual Afropunk festival just took the season’s fashion crown. Brilliantly colored dashikis, exquisitely painted hands and legs and faces (whether from one of the onsite spray-paint artistes or the steady fingers of a trusted friend), golden septum piercings glittering alongside jangling ear adornments, and innumerable messages of righteous empowerment brought together 60,000 music lovers over the course of the scorching weekend. 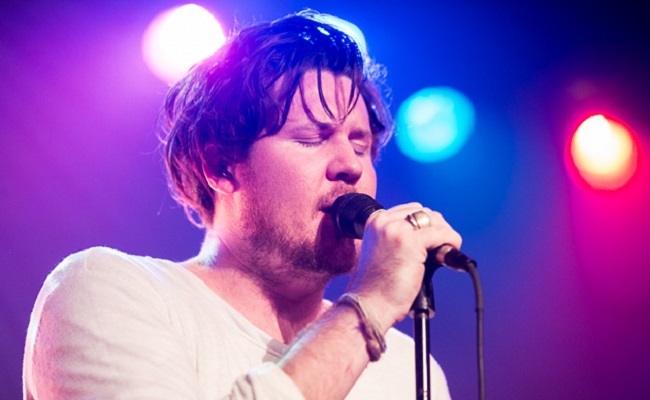 Shaking off the stickiness of yet another blisteringly hot August night, the crowd poured into the Bowery Ballroom on the 10th, eager to see if rising Aussie singer-songwriter Jarryd James was worth the blogosphere-hype. With just two songs currently available on Spotify, and only a single show in North America to his credit, no one would have blamed the crowd for failing to fully dive into James’ (mostly unknown) collection of soulful, electronic-tinged R&B tunes. 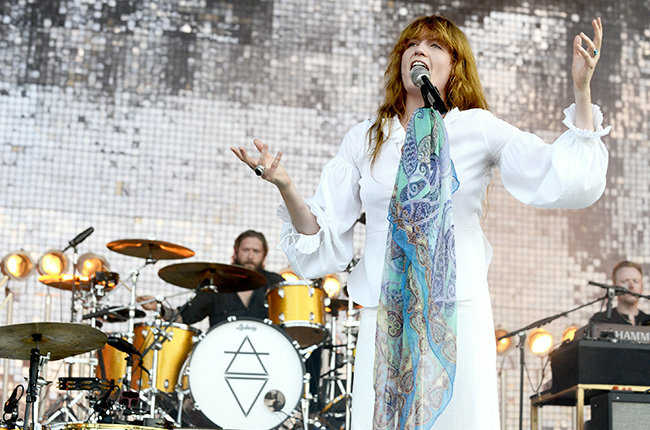 Bonnaroo’s Top 10 Performances: Could Anyone Top Florence + the Machine? The 14th Bonnaroo is in the books, as tens of thousands of attendees are sent back to their normal lives, left with the memories of the weekend that was. So when they’re inevitably asked for the highlights, what names will pop up? From Unlocking the Future opening the fest Thursday to Billy Joel closing it out Sunday night, a multitude of acts brought their A-game, but it takes an awful lot to crack the upper ranks of Bonnaroo.